the outward path, part one. plot. private. 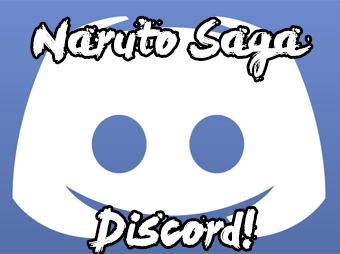 Naruto RP Saga » Hi no Kuni » Hi no Kuni » the outward path, part one. plot. private. 'So it came to be that I stood at the tip of the mountain, looking down upon the world. Above me, the clouds coalesced into impossible shapes before parting way; judging me worthy of the celestial realm. With each step, my being stripped away layer by layer until only an ascended state remained. By now, I found myself above the universe dressed in magnificent, technicolor finery. The act of weaving and unraveling held great significance here; threads were falling away into creation below only to form into shapes of strung together stars and moons. In the same moment, heavenly threads would create something new around my shoulders and chest. This cyclical feed of creation into nothing permeated me. For a long time, I was alone in this strange world. I took time to study the planets beneath my feet; vibrant and filled with colors I could not have dreamed. This auspicious plane of perfect creation at the crucible between nothing and form: the realm of gods and spirits. Looking up from the ratty manuscript in his hands, Yoh peered into the gloomy forest. Eyes scanned shadowy obelisks in the after-dusk twilight looking for the scholars. Since leaving the border, the boy had traveled with these five men, borrowing from their vast collection of historical and occult journals and texts. Yoh had learned that the men were historians; moving through Konoha on their way to the Lightning Country in order to document the oral history of the new Raikage. Besides the past, the shared passion of the troupe (and one that Yoh himself shared) appeared to be debating. In three days of wandering, the six individuals engaged in a debate on topics of spirituality, politics, futurism, civil engineering, municipal planning, architecture; if the group could create conjecture in some way, there was a debate to be had. Since delving into the mobile library, Yoh found himself obsessed with the stories of one Dao Zheng; a monk who made his purpose in accepting all the rituals and spiritual paths the multiverse had to offer. The pursuit in itself was admirable enough, but what drew the young preacher's attention was a unique text written by the Sage: Ascension and the Concordance of Fate. A tale of the heavenly assembly, the lively debates of the celestial kings' whose arguments are over the fate of humanity. Each denizen of the kingdom takes part in the raucous debates, the higher the class of spirit, God or king: the louder the voice. With the lens pointed directly at the mortal realm, the Gods vie for control of causality, manipulating the fate of everything. In the abyss, a red light ignites. The lantern caught Yoh's eye immediately; in his reading, he'd lost track of the scholars, but camp and the distant whispering that followed alerted him. He tucked the book away, bounding toward the treeline, each foot planting against a trunk as he left before coming to land several feet behind one of his traveling companions. Night time preparations were most of Yoh's duties in this group, his payment for access to the knowledge and texts, and he immediately set about gathering necessary firewood and setting up tents. A heavy hand drives the last stake into the earth to secure a tarp, Yoh stands and wipes his brow while looking over the boiling cooking pot and arguing seniors. "All done," the preacher says just loud enough to catch the attention of the others "but I'm leaving tonight." blunt and to the point. "What brought this on?" the third scholar scoffs. "Dao Zheng. I have to see for myself." "If that is your path, that is your path." "You may keep the text." An exchange of understanding eyes and nods follows, Yoh straps his belongings across his shoulder along with the small stack of papers and writing utensils. The long hours reading and thinking on the road gave Yoh more than enough time to consider his decision. The accounts of Sage Zheng, whether true or not, were worthy enough of the boy's attention; he could not ignore the thought that humanity's destiny hinged on the whims of some spiritual mandate. If such a court existed, Yoh vowed he would find it and clutch fate from the Gods, for the good of everyone. With only a vague idea where to begin, Yoh wandered with his journal in hand, pawing over notes of stories he'd heard the locals telling throughout his trip. The intention was to look for spirits, track them down wherever they might lurk and lure them into revealing a path to the Heavenly Kingdom. Supposedly, a tree lay to the south which bore spiritual fruit and was a gathering place for wandering spirits. Throughout the night and morning, the southbound preacher made his way through the dense Fire Country wilderness. In the early evening, swaying bodies of light caught the boy's eye from a remote thicket. Shining, disembodied mists made their way along the length of a forest stream. Unperturbed by the boy's presence, the fog rolled onward lapping at Yoh's feet. Faint cheerful laughter echoes in the trees when the massive forest thins away into a small clearing, stream veering to the right and out of sight. To the left of the clearing's center, a white trunk coils and splits into thick branches, each bearing a beautiful crown of amber foliage. Luch grass comforts aching feet; the air fills with the sound of spirts. "The end is built into the beginning,"
"Then where does it begin?" Seven hours now, sitting beneath this tree, the boy communed with spirits. At the center of the circle, the dark-haired boy clasped together his hands, watching the wood spirit closely before closing his eyes and nodding. As if in sequence, one sojourner replaces another, and the ritual begins again. Late as it was, the spiraling line of spirits illuminated the surrounding trees so brightly they might as well have been in the middle of a festival. Yoh himself didn't know precisely where he was, but an eerie procession of music and spirits lingered at the edge of his perception no matter what direction he peered. A journey through Fire Country, a chance encounter with a troupe of nomadic historians, a discovery and renewed purpose had led him to this place. Once he sat beneath the tree and found himself swept up into a debate, the hope for return had gone. With no choice but to resign himself to waiting out the never-ending line of tributaries, Yoh embraced the discussions with fervor. It had been a careless error in judgment to engage a trio of animal spirits in a debate. Spirited talks with mortals, Yoh supposed, were treated as a luxury for beings of the spirit realm. Word spread fast, and Yoh had more work than ever not to be overwhelmed by the gathering convention and quickly established a system of tribute. In a spiral line, with the tree at the central point, each party awaited its turn. At the base of the hill, a pile of trinkets, masks, and coins were steadily growing. One by one, participants offered what they could to commune with the child. Audibly, Yoh sighed, releasing his hands to rest on his knees. Even on dark skin, heavy bags under the boy's eyes obviously betrayed his exhaustion. With the half-moon strung high above the clearing, it was an oasis surrounded by a void of dancing lights. That same hypnotic resonance drew more than spirits to the edge of the clearing. Observing, forest animals would edge between multitudes of souls to eat fruit from the ground around the tree and drink from the streams weaving in and out of the clearing's edge. "Enough for today," with a wave of a hand it was dark. Those who chose not to vanish merely wandering away into the trees; to become lost lanterns lighting paths for dust. The Guanyin couldn't help but give off a chuckle at the nature of it all. Staring up into the sky and taking the time to formulate her words, allowing the ambient silence to fill with thought, speculation and mystery. "That story in particular goes back a very long way..." Hanbei would begin, turning her vision from the swirling celestial mass above her to the dozen or so children as they gathered around and hunkered down below. "A long time ago, the Buddha, Amida, came down to earth in the form of a rabbit. Now, as you all know, Amida loved the earth, he loved the fish, he loved the birds, even the trees... Amida wanted all life to break free of Samsara and join him in his paradise, Nirvana. So, as a rabbit, he spoke to his friends, spreading his dharma. He told them of the moon, and planned a grand celebration for all of the animals, but he said to his friends that; 'on the day of the full moon, you cannot eat before your guests, for it's a holy day.' The other animals thought it was amazing, they loved to celebrate, so they did as the rabbit said. Leading up to the full moon celebration, all of the animals were busy, the monkeys gathered the fruits from the trees, the deer gathered berries from the brush. Even the smallest of insects gathered leaves like confetti in grand piles for the full moon celebration. But the Rabbit, could only gather grass, but he did so as best he could, day in and day out for his friends. " The children would smile, leaning forward as Hanbei continued her tale, making grand gestures with her hands as she did so on the top of the awning, mimicking the animals in such a manner to make the children laugh, as even some of the monks watched on in amusement. "Now Zochoten..." Hanbei would continue standing up straight and proper, wrapping her yukata around herself to mimic a male ironically. "Second of the four great kings and lover of the animal world, heard about the moon celebration and of the pious Rabbit that had been teaching them the sacred ways. So he announced that he would be coming to their celebration as a guest! When the news reached the animals ears that one of the great kings were coming, they were shocked and amazed, they hurried to collect the best of all the foods that they could. The deer traveled miles for the best berries that grew on the highest cliffs. The birds found only the freshest seeds and nuts. The monkeys even made deals with the orangutan, who were a sour sort for the fruits they kept in their jungle... But the poor Rabbit, could only gather grass. The Rabbit didn't think that grass was befitting of a gift to the Great King, so, when asked what he would serve, the Rabbit said; 'Should the Great King see me, I will give him the greatest meal I can give.' Pleased, the other animals made merry until the night when the full moon came, while rabbit gathered all of his grass together in one place, adding sticks to the top of it all. When the full moon came, the Great King sought out Rabbit, overjoyed with the celebration and singing of the animals. He hoped to sit with Rabbit and enjoy his company, delighted to see that Rabbit had built a grand bonfire for Zochoten to sit by. 'Great king' Said Rabbit, 'I had no food but grass to give you, so instead, please take this, on this most holy of days' And so rabbit THREW himself on the fire! Zochoten, and the other animals were shocked. But, admiring his will to sacrifice, Rabbit was surprised that his fur would not burn. Proud of Rabbit, Zochoten took him to back to Nirvana, but not wanting the whole world to forget the Rabbits ways, he carved its image lovingly into the face of the moon, so that all the animals could look and see him and his fire on the face of the full moon, for years to come." Not long would pass before there would be the distinct haunting chime of a bell to a side of Hanbei as with deft grace his snow white companion would erupt from the great nowhere, landing on the ground in a pose that spoke to her regality. The white foxes front legs crossed as she would announce her presence without so much as a whisper otherwise, moving forward to Hanbei's side and looking forward at the children, commenting almost whimsically on the life that they have ahead of them. Hanbei would nod in agreement before looking to her, raising an eyebrow questionably at the thought that Daji, may actually care about something. Scoffing at the rediculousness of the concept, the Huli-jing would change the topic as quickly as the seasons. Without another word, she would vanish, darting into the great unknown as if she had never existed in the first place. Hanbei could not help but wonder how she did it, though it seemed that spirits were always able to come and go as they pleased, even one such as Daji. However, she could not help but ponder at the curiousness of someone who conversed with spirits being within the forests of Konoha, it wasn't often that ascetics traversed the forest, so, without a further moment, Hanbei would turn on her heel and with a single flicker of speed, leap the fire temples' wall in a singe bound. Over-looking the forest that she would now have to navigate, but from this high position, she would have a pretty good grasp on her heading. Narrowing her eyes for a moment Hanbei would lean forward and make a long arcing leap for the first of the trees at the forests edge. While in the air, Hanbei would have her next three bounds planned out, then four, then five running the course of action through her mind before the made contact. Yet, as soon as the Guanyins' foot made contact with the branch, almost before surface tension had the chance to be broken, in movement that would cause her to be little more than a blur, Hanbei was off like a bullet. The great forest of Konoha shot by in a kaleidoscope of colours in the evening light. Although for many it would be difficult to see, Hanbei's keen eyes were more than able to pick up the subtle shifting shadows of branches in the starlight as they were touched by a melancholy breeze. Little more than gracing the branches with a small gust in her wake, Hanbei would zig-zag from branch to branch, tree to tree as little more than a shadow. Whipping past animals in her wake in such a manner as to disturb them as little as possible before angling her course to lower and lower branches but never going so low as to run along the ground itself. Choosing to stay instead within the forest canopy until she would reach her inevitable destination. The sight was peculiar, a young boy, no older than twelve or thirteen among a small circle of departing spirits. Disarmed by the age of the child even younger than she was, she would drop to the ground, passing through the rolling fog and approaching the boy as little more than a shadow before her attire would catch the light of a gap in the forests ceiling. The blue and white simple floral kimono was cut at knee height for movement but almost appeared to shimmer with so much of a glance of light, a testament to its quality that would rival that of highborn royalty. Stepping out of the mist and holding still for a moment, Hanbei would await to be noticed, rather than move forward, simply in a hope of not putting the child on edge. In the middle of the forest, someone finding you would be difficult enough to give birth to ugly suspicions, yet alone them approaching you directly like you were some target. Clearing her throat with a light cough bought on from the frigid air before announcing herself, almost chiming as she moved, like metal jangling on metal somewhere on her person, though the layered silks seemed to disguise whatever it was. "Hello there, uhhm, when a whisper on the wind told me that you were out here talking with the spirits, I had to say that I was a little surprised. My name's Hanbei, I'm of the Guanyin clan... what's you're name?" 'As a child, it had taken me years to learn to learn to walk, to talk, to read, and to write. Here, these mortal things fell away, and I found myself learning again how to walk on this sacred ground. The Gods themselves ascended my form, allowed me here to walk among them and witness them, but this new form was an utterly alien sensation. The Celestial Plane has accelerated growth compared to the mortal one; already my body had matured from the suckling babe observing the fading physical coil, wrapped head to toe in iridescent silk. Now I stood as high as a small building (nothing compared to Zhurong), limbs blazing firey trails through the aether as we began our ascent to the palace. With a thousand arms, I reached down cupped hands to drink from the flowing rivers that poured off the ramparts. "Drink, yes!" Zhurong laughed at me and said, "Is it everything you hoped it would be?" Of course, the water refreshed my aching, celestial body which I dragged, following the King of Fire, to the First Gate. Held aloft by bright gold chains, strung about the top of a magnificent red doorway, was the Heavenly Mantle; the first layer of the Palace and gateway to the debating grounds. Zhurong raised his colossal hand, forming the shape of a horse in the air, braided with strings of white creation. Then he drew the form of a tortoise; black shell held in combination by a legion of woven together spirits. From far below I watched his magic storm the gate, each entity hammering into the wood and fading away into its surface. Such power was a routine display here, for Zhurong this heavenly mandate capable of breaking the mortal world apart was his key, a mundane tool. When the door opened, yielding for shafts of blue light, Zhurong placed a finger across my back and urged me to continue. Engulfed in the brightness, I felt the city below us depart from being, and a sensation of peace washed over me; the empyrean palace awaited above. Emerging from the light, I had changed again; now, a mass of white tails sprouted from my form. Each appendage juggled a colored ball while my many arms joined back into the white fortress of my body, the surface of which now sizzling from the Fire King's children playing in the streets of my skin. Now that the denizens of the forest began to depart, the grove's shimmering sea of light faded back into a dull, moonlit, silver. Throughout the treeline surrounding the clearing, Yoh could see shapes twisting through the shadows, pairs of ghost-lit eyes examining him, scrutinizing him for whatever power he might or might not possess. Without the constraints of mortal physics, the community of forest spirits was quickly able to spread the word of a monastic young boy laughing and conversing with the spirits. The rumors flew faster than Yoh anticipated, bringing many beings from the woodwork to this central point. Across the nearby forests, the trees would be eerily quiet tonight. With the chattering died down, Yoh laid back against the tree roots; hands stretched out behind his head. Through the filter of the canopy, the stars above looked small enough to scale; Yoh felt he could almost reach out and pluck them from the sky if only he could find his path there. As insignificant as the heavens felt, the earth was immense by comparison. Even as well traveled as he was, the boy found it hard to comprehend the scope of his world, with depth hidden between everything, and all things connected. So he lay with his eyes half open on as a speck on that same enormous world waiting for the stars to fall. Attention on the cosmos, Yoh didn't notice the phantasmal procession darting in and out of the clearing. All around the nearby trees, whispers spread of another presence nearby. Rumors of a visitor of great significance caused the second wave of entities to amass south of the clearing, lining the inky shadows with radiant shapes. It was this bright gathering that finally caught the preacher's attention, and he shuffled back to sit upright against the trunk of his tree, eyes transfixed on the uncanny stillness displayed by the anxious gathering. As if in sequence, each layer of light began to break away, revealing a thick black fog behind and then in the distance, a soft glow. Hanbei would descend into the clearing with a welcoming party of sprites lighting her path. Yoh's eyes narrowed; another spirit was coming to engage him in a debate? At this distance, Hanbei bore the same spiritual characteristics as others Yoh had seen, but something about her appearance set her apart from them at the same time. Departing the trees gracefully, the porcelain-skinned woman locked her eyes on Yoh's own and the boy tilted his head in response. As Hanbei began her approach, Yoh sifted through her movements and, it appeared she was not a spirit at all; her feet parting the grass, clothes dragging on her body in the light breeze, as well as a bitter outpouring of frosty breath: these things marked the woman as one of the living. "Han-bei," he says slowly, announcing each syllable carefully "And I am called Yoh,"
"Uhh, I suppose I'm a Student of the Outward Path," a title comprised out of thin air, as Yoh suspected any claim could be, and it meant nothing "The spirits are watching you, do they know you?" As Hanbei drew closer, Yoh would be able to feel her presence in the world much more clearly than when she arrived. His stance became relatively relaxed and he kicked forward to meet her at the edge of the tree's shadow. The woman's life force towered over the spirits of the forest and Yoh's own weary eminence. Breathing deep, the boy would address Hanbei with a mixture of tired distance and optimism. "I can't tell if you're a spirit, an assassin, or a princess,"
Deep beyond any break in the trees, a trio of snickering flames watched the pair with playful curiosity. Remembering their duty, the fires crept through the forest, joining the entourage of celebrants heralding the clearing. The spirits spun around a central mask which held the little troupe together, the white facade adorned with intricate seals. As the two began to converse, more such sealed native spirits wandered forth, each bearing some man-made object as their corpus. These unique phantoms observed the scene, bound to fulfill their orders when the time was right. In the meantime, the sky above the grove took on a subtle pink sheen. It was small enough to completely slip beneath Yoh's senses. "Whatever you are, I'm pleased to meet you. The forest has me so turned around I'm not sure whether I'm even heading south anymore." Yoh's won out cadence was immediately casual, like talking with an old friend "Tell me,"
"Do you know the way to the Kingdom of Heaven?" While the story of the Hare in the moon was a brilliant tale of self sacrifice and nobility, tales of legendary characters seldom ended at the conclusion of their natural lives. Such was true for the Rabbit in the moon... after his death at the hands of his bonfire, and after his flesh was so graciously consumed by the second of Nirvanas heavenly kings... the Goddess Chang'e was clled upon by the heavenly king to inscribe the portrait of the Rabbit upon the surface of her moon. The commissioned Moon Goddess did as she was asked, but in doing so fell for the plight of the poor creature, calling its spirit up to her as she did so for her to keep as a pet and companion. The rabbit incarnated as a heavenly spirit, was entrusted the title of 'Jade Rabbit' and through prayer and admiration of the animals of the earth through its portrait on the moon, was considered a spirit of some renown. Life among the heavens was pleasant, Jade rabbit lived in luxory among the gods and goddesses of the heavenly realm in peace and absolute harmony. However, Su, one of Chang'es noble guests, deeply despised animals, Jade Rabbit included. When asked why she held her grudge so, Su replied that; No animal or earthly beast, no matter how accomplished deserved a place amongst gods and the divine. Though Chang'e paid her vitriol no heed, Jade Rabbit, who had been hiding beneath the bed of its master, was deeply hurt as if she had received a strike to the face from Su herself. Soon enough, Su was incarnated upon earth once again as a princess of a foreign nation... Jade Rabbit, having become bitter at her resentment, and wishing to prove itself in the eyes of the mortal, followed her to the land of the living, escaping its home and leaving its master behind for a time... Enacting a plan to kidnap princess Su, marry her and drain her chakra. However, it was a great sage who came across Jade Rabbit and its plans, thwarting it in the process in an epic battle that spanned across the castle. The battle waged from dawn to nightfall, however, just as Jade Rabbit was about to win, the moon had risen in the sky, and freed itself from behind the cloud as Chang'e had been searching for her beloved pet, finding Jade Rabbit upon the earth engaged in combat with another. Reaching down, Chang'e claimed back Jade Rabbit, and returned with her to the moon placated. Hanbei could not help but think, it was the rabbit goddess, mired in spite and bitterness that had come to earth and granted mankind access to the chakra that ran through their veins. How such a noble creature birthed in self sacrifice had come to become hard of heart over the years, was it the fault of man for not recognizing and appreciating her sacrifice, or the gradual growth of an old grudge, ever expanding from a simple broken heart? Hanbei touched down on the field, the warm weather of the land of fire made the earth beneath her feet radiate with the warmth it had absorbed from the daylight sun, enough for her to feel even upon her raised sandals. The boy before her introduced himself in response, identifying himself as a boy named 'Yoh,' a name that was simplistic as it was intriguing, without a family name to support it, the boy was shrouded with an air of mystery that Hanbei found both curious and alluring. It would be Yohs next introduction that would make Hanbei even more curious, as he claimed that he seemed to be of 'the outer path.' While the words may have meant nothing to Yoh, Hanbei could not help but make the immediate connection to the outer path of the famed doujutsu, that coveted the power to exist outside of the realm of life and death, a power that allowed one to recall souls to the land of samsara and return the dead to life. The comment on whether Hanbei was some form of assassin, princess or spirit couldn't help but bring a chuckle to the girl's lips, a genuine smile spreading across her porcelain face and soft features as the spirits seemed to spread out around them, interested in the interaction between the two of them, looking to and fro from one to the other in anticipation for what was to come. It was almost as if they were some show for their amusement.
" Haha, well, Sadly I'm none of the above, simply a doctor and a travelling monk of the fire temple. It's a pleasure to meet you also Yoh, I'm always intrigued by other followers of the Sage's path, but to be honest, I think the spirits here are watching the both of us... They led me to you after all, your presence here seems to have kicked up a little bit of a stir, but it seems in a positive light." Hanbei would add moving forward one playful footstep after the other, looking to inspect the boy from top to bottom, though likely sighting nothing out of the norm as far as distinguishing colours went, other than the moorish colour of the boy's skin that would have the Guanyin immediately think that he may be from Kumogakure... a thought that prompted excitement. Although, as she was lost in thought for that moment, the sentence of Yohs almost seemed to echo aloud. Had Hanbei been in the middle of drinking, she would have involuntarily spat it out, shaken and mentally staggered she could not help but splutter a little at the question in the abrupt manner that it had been worded. "While I'd like to think I'm well connected, i uh, I don't think I'm quite so enlightened as to have a key and a roadmap." She would state with a bit of a nervous chuckle, feeling all the while like she had been proverbially thrown to the wolves as far as faith centric questioning went. "I suppose my only natural response would be... do you?" Hanbei's intent from the return of the question was two fold, the first, simple curiosity. If the question had been an accusation, a remark as if to follow up with a declaration of his progress on his path to Nirvana, then Hanbei would like to learn from that. The other, in part an accusation to put Yoh on the same footing he had placed her on a second before. While Yohs' tone had been calm and casual, Hanbei could not help but feel a little accosted by the question, though by and large it seemed to be from a lack of understanding in the questions roots, or its intentions. But she was keen to discover them, as such, her mind was open. 'When my eyes finally adjusted, the majesty of the royal gardens gave me pause; celestial breath halted in the worlds that made up my lungs. Infinite gold horizons sprawled in every direction, thick with lush orchards. Towering, as I was, over the landscape, I could see the vast cultivation, grid-like patterns of trees sat on raised platforms fed through by coursing, rainbow aqueducts. At the edge of the gardens, the irrigation became the mountain streams feeding into the Heavenly Kingdom below the Palace. Below that; the essence of life, the birth of new life in the physical realm. How many men have witnessed the nourishing God Tree rivers? How many have marveled at its journey toward creation? On each platform were faithful workers, divine slaves tending to the gardens without rest. I wondered whether it was a privilege to live as a slave in this beautiful world, whether they too partook of the God Fruit or whether they reserved that pleasure for the Gods themselves? These white, four-armed creatures bore identical masks to mark them as workers; had the Gods changed their forms to match? Was the very shape of existence a uniform? Following the blessed form of Zhurong through the Gardens, we set our approach on the Second Gate. Eons we wandered forward while I plucked handfuls of fruit to sustain my weary mind. The endless journey along the patterned orchards came with rhythmic hypnosis that lulled me into an endurant stupor, unable to continue but compelled to go on. "What are you waiting for, Mortal?" Zhurong bellowed to me from far ahead "This is the realm of Gods! If that form fails you, simply will a new form." What pure rhetoric from the King of Fire but his words, of course, were wise and true. With my mind hard at work, I felt the ground fall away beneath my feet as my Will took shape into the world. A great, winged bird, plumage covered with phantasmal eyes from which I could see all around me and take in all of this splendor. My legs, which had grown so tired, I willed to crumble away into the dirt so that part of me would feed the trees below. I could hear Zhurong laughing proudly as we soared towards the Mount. Another wanderer? Yoh's eyebrow rose at the prospect. Attracting spirits he'd somewhat expected, but spirits are spreading the word to other ascetics who would, in turn, seek him out as well? He couldn't fathom why anybody would want to go through the effort. Yoh was after no great secret, no sacred treasure or lost knowledge; unless another merely sought to be free, they'd have no reason to look for him. Of course, the boy was pleased to hear the spirits had spread good things about him throughout the land; he hoped those rumors would bolster his ability to find his destination. In truth, the boy had been a little stunned by the silence following his final question. To Yoh, asking directions to the Heavens was like asking directions to anywhere else; it exists, and so it must be somewhere that you can find it. Confusion mixed with mild exasperation at the woman and Yoh was beginning to question her spooky-stuff credentials. Though the forest spirits still seemed enamored with the woman, which made Yoh curious enough to put up with the woman's seeming lack of focus. Then Hanbei hit him with a flabbergaster of her own, in the form of another question. "Huh?" Yoh said bluntly "If I knew why would I ask you?" With some palpable tension in the air, the preacher was somewhat afraid he'd done something out of turn. Bringing up the Kingdom of Heaven seemed to put the woman on edge, so Yoh backed off slightly, casually strolling away from the central tree and into the clearing. Around the silent pair, the spirits, one by one, would slowly begin to depart. Not swiftly but over several minutes, the veritable horde of ghosts that lingered here were dwindled down to a few desperate souls who remained watching; through bound, white eyes. "I want to commune with the King of Fire, Zhurong. His temple is somewhere in this country, and when I find it, I will convince him to allow me into his Kingdom." Yoh would say before trailing off, noticing the eerie solitude the duo now resided within. There was a moment of stillness in which Hanbei would be free to answer if she chose. An experienced Shinobi might feel the chakra before the incarnation of the Sealing technique. A build-up of spiritual energy shot through the grove, an undercurrent surge of immense strength sliced through the quiet and then itself became silenced. Intricate magic, strings of sacred Fuinjutsu ignited in the shadows. All around the clearing, for a moment, it was lit like day and, from the treeline, black ink would streak forward across the grass to paint a seal over the clearing. At once, Yoh lept and arced his body high above the grass and onto the lone tree's foliage, where he balanced low on the end of a leaf. As the light faded away, shapes would make themselves known from each corner of the newly formed seal; three forms projected in shimmering colors, each with hovering totems at the center of their bodies. Even now, the seals on the ground and trees were still shifting; forming into constant new symbology in an effort not to stall any attempts to circumvent the seals. The harsh color-static of the projected images made the forms somewhat hard for the young preacher to look at directly; his eyes ached terribly. "Greetings," the projections spoke at once, though not in synchronization; each voice retaining its distinct pitch and cadence "The spirits' fascination with you both has caught the attention of our teacher, who requests your presence." Yoh scanned the grove for Hanbei, and if he could find her, he would try and gauge the woman's reaction. Whether he did or not he would then close his eyes, listening in the air around him and trying his best to keep track of where everything was without spending any more time looking at the cracks of painful light. "Master Hei invites you to his Lighthouse; he is the Beloved of Spirits and Lord of Lost Things. Accept this treatise and sign the seal in blood, then we may guide you to the Lighthouse." The Guanyins' attention would instantaneously shift to the world around them, while she would listen to the boy speak, her attention would most certainly appear elsewhere... she had not noticed the hue of the atmosphere take on its altered shade, nor has she noticed the bizarre tingling she could feel dancing across her skin like a great chakra was unraveling nearby. Such subtle signs, she was barely considered well trained, though, she did have a degree of sensitivity when it came to the other-world. The sky had lost its navy hue in lieu of a subtle mauve that stretched across the sky like a sunset in reverse, and in that solitary instant, Hanbei became on high alert. Three times now she had been under attack by spirits in konohas forbidden forest under bizarre circumstances, once on fault of her own and the other two during circumstances that she could only describe as the cruel randomness that nature so loves to plunge the world into. The sensation would build up to a fever pitch before something seemed to shift in the atmosphere, something was coming, and Hanbei never liked to be taken by surprise to this extent. The harmonic ripple that shuddered through the girl almost knocked her backwards in anticipation, though feeling that nothing had been done to her physically, she would look to the ground and her body to ensure she was in one piece before looking to what was to come. A spark, like the zenith of all light erupted, and in that instance it was like staring into the daylight sun, so, shielding her eyes she would reach a hand behind her, poised as she would allow three of the needles from the porcupine mantle she wore beneath her layered silks to slide deftly and silently between her fingers, hidden by her elegant sleeves. But, as the black tendrils of shadow began to trail along the ground towards them, and with seemingly no way out of the place, Hanbei jumped in time with Yoh, though she was a little further away, leaping up to a branch slightly behind the child so not to stress the branch of the tree they were on... Hanbei's eyes were fixated on the smooth curves of the symbol as it weaved its way across the ground, instinctively placing a hand on the boy's shoulder for comfort... whether it was for her, or him, Hanbei couldn't rightfully say. Letting out an audible sigh, Hanbei would swing down from the tree and land upon the ground as the light drained form the area. A little more convinced that the beings around them would intend to do no harm. Hanbei's reaction looked on edge, but calming rapidly at the time Yoh would move to pay attention to it, like a great burden had just been lifted from the girls' shoulders, though she had not had time to stretch and adapt to the new lightness, the effects of the heft still lingering for a moment as they faded into object nothingness. Though what the creatures spoke next fell on confused ears, as Hanbei's head would twist a section, not understanding that statement that they had said... Hanbei had no knowledge of a master Hei, whether or not he was beloved by the spirits or no. However, if he was so beloved, and with the show of power from the ancient symbols that still seemed to linger at their feet. How would the spirits react if Hanbei and Yoh were to turn down the offer to their beloved master... She couldn't say with certainty that the decision be respected. So Hanbei, hoping to be the brave one for a moment would speak up to the spirits. "I've never heard of a lord of lost things... beloved or no... who is this Master Hei that is so loved by you, and if I may, under what pretense is our invitation? If you would be so kind as to explain, I would happily sign this treatise and follow you." 'Beyond the second gate, I saw a great infinity stretch out before my innumerable eyes. I, and the King of Fire, ascended through the plane into the bottom of an ocean. From a volcano, the two of us burst forth bubbling into the new world and swam upwards. My feathers fell away, and wings split into many arms while I felt the water grow colder and colder as we left the embrace of Zhurong's kingdom. I heard from above the voice of this new realm's ruler, calling out through the blue and dark to guide us into his palace. Through the door, we departed the shimmering sea and stood in the vast hall of shapes. I had heard tales of the gallery since my childhood, the lowest chamber of the Water King's domain known for its collection of all known forms and images. Within these boundless walls, all of creation could be seen in all its incarnations. I saw displayed chiefly, the forms I had taken since leaving the mortal realm. The face I had known throughout my life stared back at me and then behind it, the ascending shapes of my increasingly alien visage, but each one of these true things felt more natural now than the human body I once treasured. Yoh eyed the envoys, narrowing dark orbs in the direction of the intruders. Each bore intricate scripture across their exposed hands, the ink quivering like the symbols on the ground. With his mind racing, he wouldn't notice the approaching hand until the gentle touch shocked him from the daydream. Hanbei's gesture would not be rebuffed; Yoh allowed the hand to rest there while the pair listened to the messengers speak. Hanbei would be the first of the pair to reply, requesting more information from the mysterious figures. It seemed smart enough, Yoh's thoughts were now calming, and he would lend a nod toward Hanbei before leaping down from his perch to nestle his toes firmly against the forest soil. With his connection to the earth established, Yoh could easily let his sensory prowess drift forth to sense what secret fraud these envoys were concealing. To the boy's surprise, the servants appeared as living as he or Hanbei, not illusions or puppets but true worshippers. The bonds of faith held by these men tugged vigorously against Yoh's preconceptions. "I want to know what's going on beforehand as well. Who the hell is Hei and why does he want us to go to his Lighthouse? I'm not out here looking to be kidnapped." As if in a show of understanding, the three students would move closer into the clearing, each reaching into the core of their chests to grip at the totem that hung there. From their shimmering hands, the stones would draw blood, unnatural fluid pouring onto the seal. With the contract signed on their behalf, the changing formula would begin to take shape into a unique summoning contract. After their act, the trio would speak again. "Hei is a purveyor of curiosities." the voice of the first messenger cut clear across the clearing. "He guides spirits to the celestial realm." "Hei feels you have both lost something important." soft-spoken and meek, the second messenger spoke. "He wishes to help you find it." "Hei is one with the world." somewhere in-between, the final messenger gave his words. "The Lighthouse illuminates the path of fate." In silence, Yoh considered their words carefully. Any guide capable of shepherding spirits to the heavenly kingdom would be a boon for Yoh's quest, but the assumption of their master to think he'd lost something unsettled him slightly. What did Hei think he had to find? If this was a ploy designed to ensnare the preacher, it was dangerously close to working. He stood still whether Hanbei would make a move or not, for several moments. At this point in time, Yoh could not risk letting this opportunity pass him by. He would bring the thumb of his left hand to his mouth, pressing hard against his teeth to draw blood and then he would kneel. All the while, the three shapes observed him carefully, prism gazes shining towards not only the boy preparing to sign the contract but also on Hanbei's impending decision. The moment Yoh pressed his bloody digit into the symbol, he felt a rush of chakra through his body, merging with his inner energy briefly before pulling away into the seal, completing more of the scripture. Hanbei would see Yoh's form shift for a fraction of time before in a puff of smoke; the boy would be gone. In an instant, for Yoh, the scenery changed. Called across the country by a summoning contract he stood alone in the night, no eerie magenta glow or parade of Kami awaiting his debates. The lapping waves of Konoha's southern coast could be heard over everything else, and on a raised cliff-face no more than a mile to the east, a white Lighthouse twirled its luminescence in the distance. A similar sensation would befall Yoh's impromptu companion if she too decided to sign, but for now, Yoh began a slow walk towards the residence of Lord Hei. The reverse summoning pact was unmistakable, simply disappearing in a puff of chakra smoke as Hanbei knew that she would have to follow in his footsteps, if only to help keep the by safe should any potential harm come to him. The spirits had mentioned that Hei was beloved by the spirits... but there had been no mention that he was beloved by man, or vice versa for that matter. So, with a sense of phantasmal maternal instinct of some kind rising up within her she would move to the contract, unsheathing one of her black acupuncture needles and pressing it to one of the blood vessels in her index finger, pricking it enough to form a small crimson bead at the end of her finger before pressing it to the vellum-like material, only to feel the same surging sensation as the pact had been completed and chakra whirled around Hanbei for a fraction of a moment as she too vanished from where she once stood to be thrown through space, and very well perhaps time to a distant and unfamiliar location to her... Though the sky wasn't alien in the sense of its color, Hanbei would quickly look to the stars in the budding night sky to ascertain her location compare to where they had been. "It seems we've been transported south... quite a fair way." Hanbei would speak, her eyes locked onto the skies for a moment before trailing them down to sight Yoh upon the sands. The young preacher seemed to be in good health, without any unnatural hesitation, Hanbei would move up beside him, laying a hand on his shoulder and flashing the boy a comforting smile. "I hope you didn't think I was about to let you go on this adventure alone huh? This Master Hei seemed to have invited the both of us, it's abrupt, but with the both of us, I'm sure we'll get through this one okay... So, I hope you don't mind me accompanying you shall we begin to get a move on together?" Feeling Hanbei's hand rest on his shoulder, Yoh let out a comforted sigh, thankful to be in the presence of another who yearned for adventure as he did. If there was a path to the Fire King's palace somewhere in Hi no Kuni, the Senju had never seen such a promising road toward it before tonight, and would not pass on the opportunity to seize his passage into that domain and do what it took to secure his freedom in the dominion of fire. Glancing over his shoulder, Yoh's eyes met with Hanbei, and he would give her a determined nod, punctuating the stranger's statement with his approval and setting in the direction of their goal. Any unease was swept away in the decaying shoal of his hesitation, eyes fixed emerald lenses straight toward salvation and the pursuit of freedom, Yoh would not give up. The lighthouse made for an incredible monument, and as the Senju came toward it, the broad, towering guideline shining eerie, pale shades showed its majesty. Covered with silver inlay carved into the shape of spirit processions, the composition of Master Hei's doorway into wonderland gave away its purveyor's riches. Statues at the heft of every windowsill sat lurking with flowing, carved robes of platinum and polished marble, depicting Kami with their essence spread into coiling, smooth shapes. Even through the canopy of Fire Country's shoreline, the pair would easily be able to observe the decoration of this secluded place, which seemed not to disturb the soil and grass. Yoh could feel the trees call out to this tower, roots guiding under its suspiciously absent foundation with no resistance, feeding on its incredible energy, they called out to him, singing tales of this shifting reliquary with its reputation of drawing denizens of nature to its doorstep. Hanbei would likely hear the teen's low hum as his fingertips caressed the bark of trees, which would shift slightly, as if breathing beneath his touch. "What do you think this guy is doing out here anyway? I don't believe for a second that he moved this thing out here and set up that summoning contract just on a whim. But I just wanted to let you know,"
Yoh's voice was steadfast, contemplative and profoundly calm, eyes never wavering from the shape they circled, breaching the treeline as they came into view of the door, framed with baroque statuettes of Yokai in a parade around the mahogany entrance. The preacher inhaled deeply, taking a brief moment to glance at Hanbei while walking toward the door. "If whoever is in here knows the way to the Kingdom of Heaven, I'm not gonna give up until I know where it is. Ok?" Since setting upon the long pilgrimage back to Fire Country, Yoh had waited for a moment such as this, and felt the familiar anticipation of a goal awaiting completion. Behind the Senju's audacious exterior, he was careful not to lose his hope to this alone, for mystics proclaiming their import on thrones of falsehoods inhabited each corner of the world. If it happened that the master of this place, the so-called Beloved of Spirits, was one such fraud, then Yoh would collapse the shrine of his lies and continue on his journey. The forest drew inward, feeling the monk's gathering tension, mimicking his tendons as they pushed against the door causing it to shift and groan, and allowing Yoh to sink away into the depths of Hei's otherworldly temple. 10 Re: the outward path, part one. plot. private.